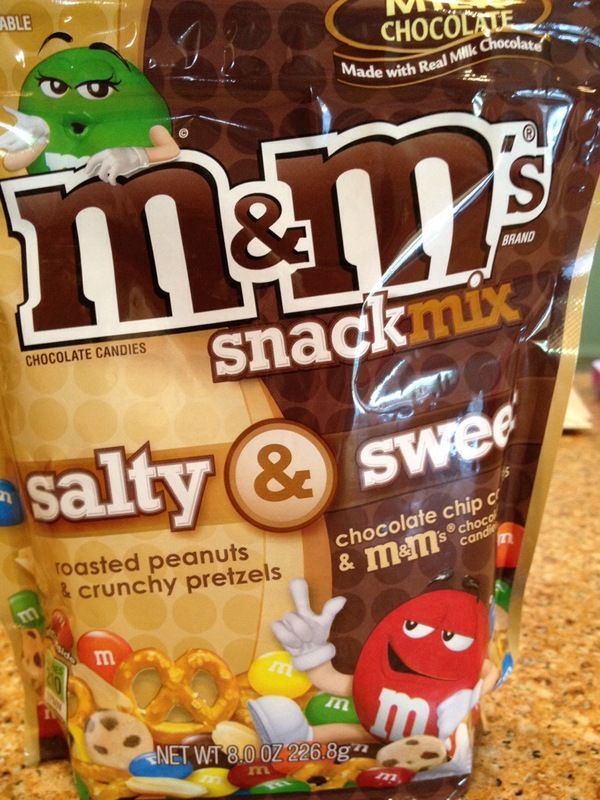 I am a bit of a nut for the combination of sweet and salty at the moment. I realise this marks me out as someone slavishly following food trends, running with the crowd, baaing with the sheep, yada yada yada, such is the popularity of this flavour combination right now, but I don’t care. It all started with that demon, salted caramel, which has its claws in me good and proper. As a cookbook addict and regular Delicious reader, I’d like to think I was way ahead of the curve on this trend, remembering the days I’d drop salted caramel into the conversation and people would not get why this would ever be a desirable combination. Now it is everywhere, I can barely remember the last time I saw the word ‘caramel’ without ‘salted’ preceding it. Cadburys Caramel bars really need to start moving with the times. The wonderful thing about adding salt to sweet foods is that it magically stops the sickliest foods becoming too much and yet the contrast of sea salt flakes and sugary sweetness only makes you more aware of the sweetness. This must be what makes it so unbelievably addictive. I know a few lovely people who still think it’s nuts to add salt to caramel (or indeed any sweet thing) and I’m undecided yet as to whether they are monumental idiots, or actually geniuses for avoiding the inevitable addiction that swiftly follows that first taste. The jury is out on that one. I love now to add a teaspoon or two of sea salt flakes (and I urge you to only use sea salt in sweet foods, don’t even consider table salt) to any sweet treat that I may be cooking. It’s particularly good in a really rich, dense brownie or sprinkled over the caramel before pouring over the melted chocolate to millionaires shortbread. I also love finding new recipes that play on the sweet ‘n’ salty relationship. I was drawn to today’s recipe of Choc Chip Cookie Pretzel Bars after realising how similar they were to a hard to find special edition pack of M&Ms that I found in America. These chocolate M&Ms were combined with salted peanuts, tiny choc chip cookies and miniature pretzels and obviously were absolute heaven. My fear is that during this pregnancy I’ll develop an insatiable craving for them that I cannot overcome due to the rather large, immovable, and uncross-able at 6 months pregnant Atlantic Ocean. Let’s hope this baby craves something inherently British for my sanity and everyone around me’s sake, although after a bit of Googling I’ve discovered you can buy a pack in the UK for the completely insane price of £7.50. But still, what price can you put on ones sanity? The cookbooks’ days are numbered. Or at least the days of the ones currently taking up valuable storage space in my middle bedroom anyway. Much as I’d like our future child to grow up in a bedroom surrounded by Nigella, Jamie, Gizzi and the like, dreaming of the amazing dinners they will cook their wonderful parents as soon as they’ve mastered hand eye coordination, reality dictates that instead it will grow up surrounded by cuddly toys, Play Doh and Very Hungry Caterpillars, dreaming of The Tiger That Came To Tea. Much as I am sad to bid adieu to my beloved cookbooks, I’ve become even worse at neglecting them over recent months and if I really want to cook something specific nowadays I just turn to Google and Pinterest for inspiration. Not all of them will go mind, there are some cookbooks I just can’t do without, but the majority are going. Sorry books, it was fun while it lasted but our time in the sun has come to an end. So let’s start as I mean to go on; with a recipe culled from Pinterest, off of a much neglected board of mine (some habits just don’t change do they?) rather imaginatively titled “Things I’d Like To Cook”. Poetic in its simplicity, right? (And if you’d like to follow me on Pinterest or have a browse of my boards you can find me under hayles13. It’s basically just food, cities and cakes I’ll never have the skill or inclination to make, but if that’s your thing, I’m your girl). 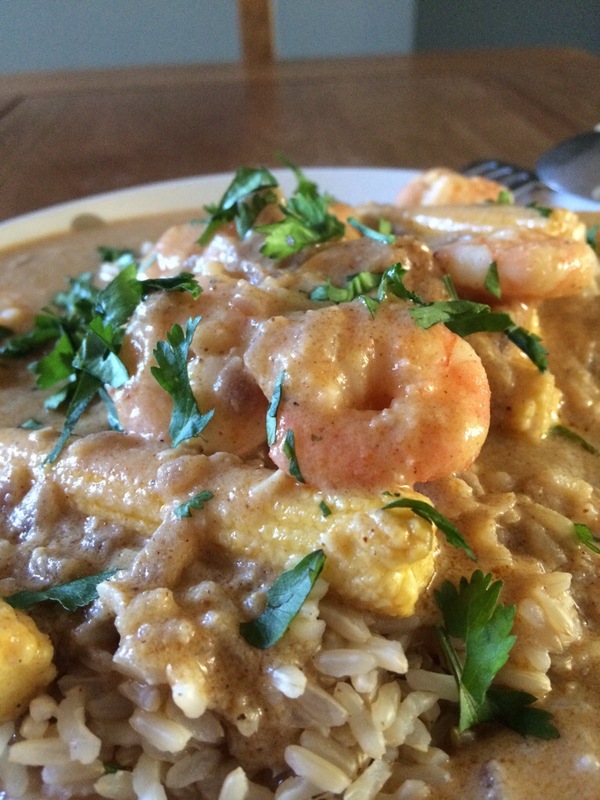 I chose Coconut Prawn Curry because I love curry and cannot get enough of anything smothered in a sauce right now. It could be an Indian curry, roast chicken drenched in gravy or enchiladas with a smoky tomato sauce, doesn’t matter as long as it’s a saucy little devil. Dry food is the enemy. No matter how many times I go out for a curry and seriously consider having some tandoori chicken, in the end a proper saucy curry will always win. I also remember as a child that if there was any gravy leftover on our plates after a roast dinner, stew or sausages, we’d get a slice of white bread each, soak up the remaining gravy and savour the flavour of meaty bread. I can totally get on board with Red Ross and his fury over his beloved leftover Thanksgiving sandwich being pinched. If I had a sandwich with a layer of ‘moist maker’ stolen from my works communal fridge, I’d be just as mad. Moral of the story, both Ross and I are a little bit overprotective of our food, some would say unreasonably so, so best not to even contemplate touching our food, OK? So, Coconut Prawn Curry. This recipe combines the creaminess of a Thai curry with the flavours of a mild Indian curry, and really works for it. I don’t normally go for a mild curry as I’m addicted to a bit of heat but if a curry can offer plenty of flavour without bringing me out in a sweat, then I’m just as happy. I didn’t completely follow the recipe, as I couldn’t really be bothered to make my own prawn stock and didn’t want my house stinking of fish for days. Instead, I used some chicken stock with a dash of Thai fish sauce (known as nam pla) stirred in. To ensure the curry wasn’t too watery I also used a sachet of coconut cream (I use Pataks creamed coconut which is really thick, the sachet needs soaking in hot water for a good 10 minutes before you can squeeze it into the curry) and half a tin of coconut milk, and the result was perfect. Creamy, intense without being overwhelming and full of the flavours of India, it was absolutely a curry I’d make again. Most importantly, I was able to absolutely smother the rice with the delicious and plentiful sauce. Normally if I see a curry recipe that doesn’t stipulate the use of chillies I’ll completely dismiss it, but this recipe goes to show that sometime you should just let the flavours do the talking and give the chilli a night off. I’m trying to eat more vegetables these days so find myself adding whatever veggies are in the fridge/freezer to curries, hence the baby corn hidden under all those prawns. When you’ve got coconut milk and cream in your curry, you’ll find yourself far more able to justify your dinner if you’ve popped in a portion or two of your 5 a day, take it from someone who knows.